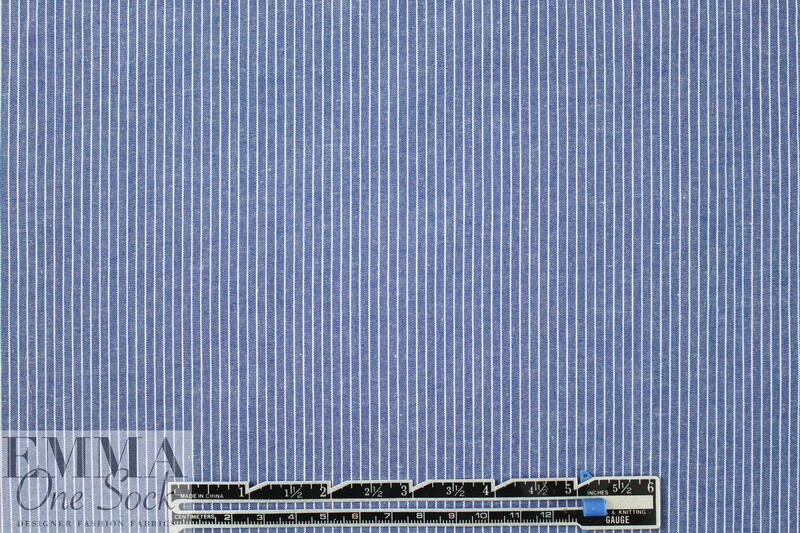 This is a yarn-dyed cotton stripe shirting from a NY designer, with narrow vertical stripes in denimy blue and white. 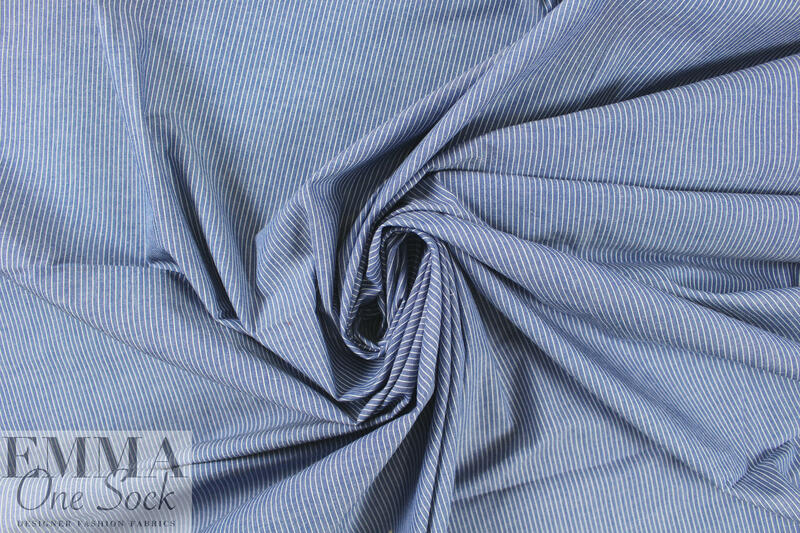 It is a shirting weight, opaque with a crisp, cottony drape. 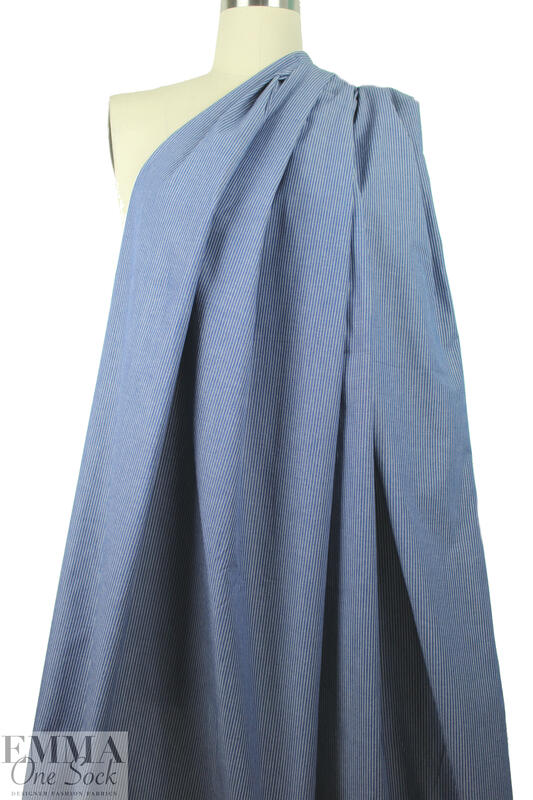 It is perfect for mens or ladies shirts, a top, tunic, shirt dress, etc. 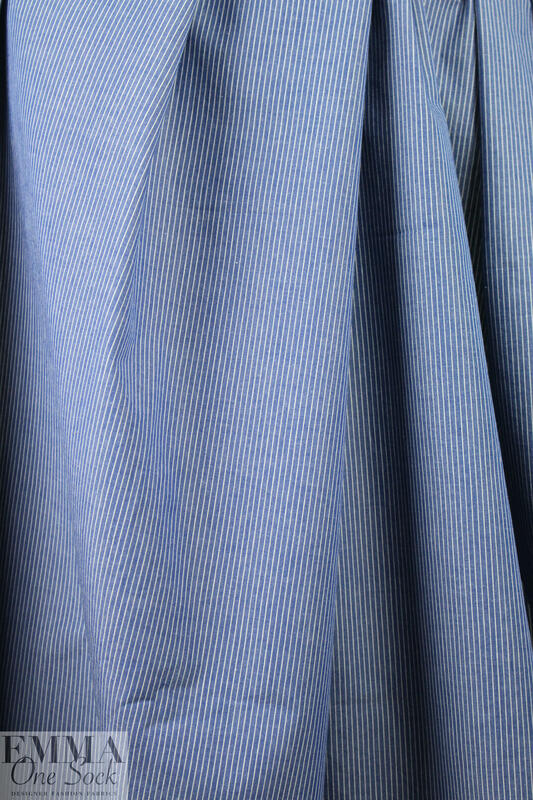 Test first if you wish to hand or machine wash, and hang to dry.